Goodbye 2012! ... and welcome 2013! Besides baking, 2012 had been my intensive running year. I really enjoyed what I have been doing and would wish that I can do the same thing for 2013. I won't have any new year's resolution for 2013. Just baking and running will make me happy. 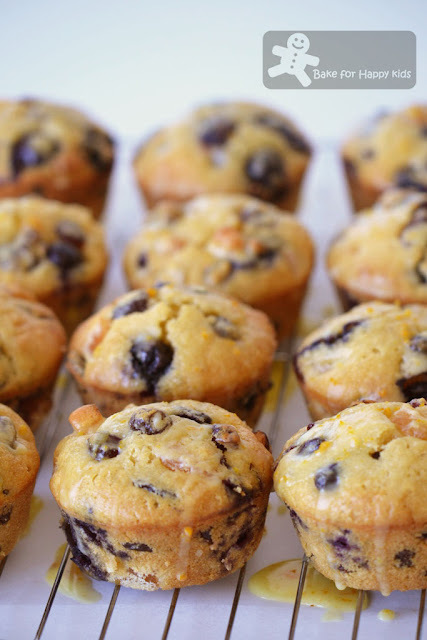 All these muffins are packed with lots of fruits! ... lots of fruits in every single bite! Preheat the oven to 200°C/gas 6/ fan forced 180°C and very lightly butter a 12-hole muffin tin. Sift the flour and baking powder into a bowl. In another bowl, lightly beat the eggs, then stir in the melted butter, milk and honey. Add to the flour with the remaining ingredients (except for the orange zest and cinnamon). Combine quickly without overworking (it's fine if there are some lumps left - you want it gloopy rather than fluid). 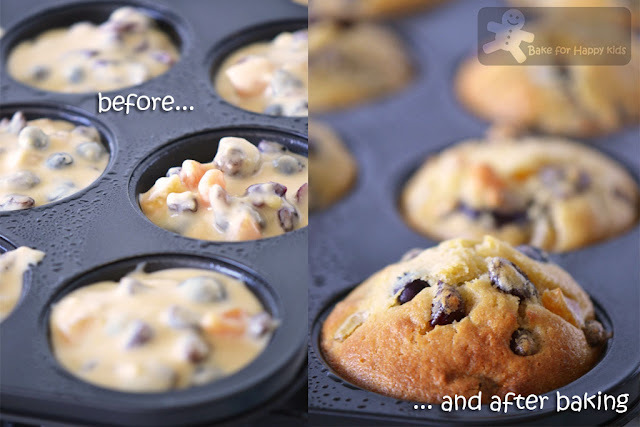 Spoon the mixture into the muffin tin. Bake for 20-25 mins until well risen and pale golden on top. Leave in the tin for a few mins before turning out. When cool, they'll keep in an airtight tin for two days. 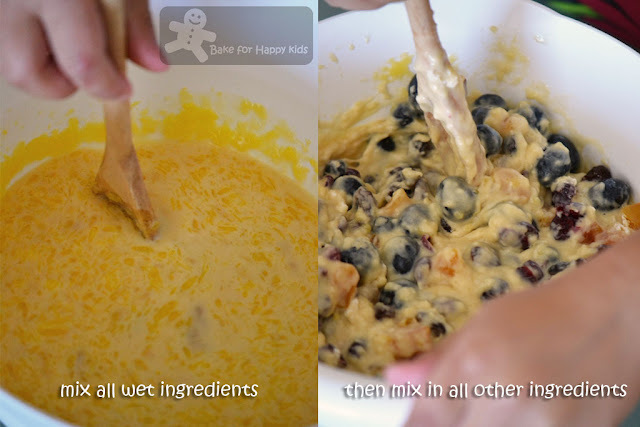 Mix both until they form a smooth paste and drizzle it on the muffin when they are completely cooled. Zoe, these muffins look so soft and yummy!! Oh wow, these muffins sure look a winner...it has everything ingredients in it.... It must be superlicious yummy. Hi.. very rich muffin... very tempting.. 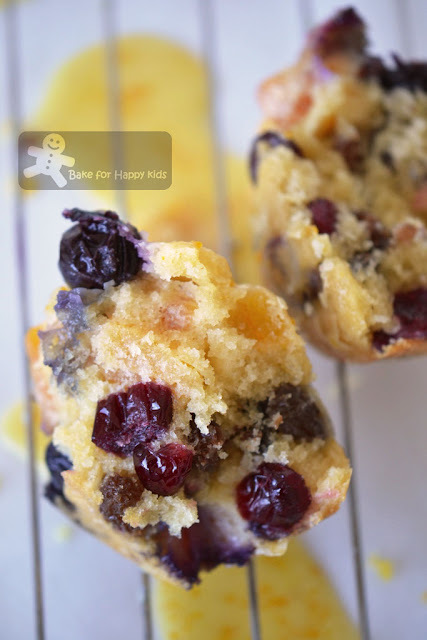 This muffins are bursting with fruits! Nice event dear, wud luv to participate. This looks really good for a healthy breakfast treat. Your muffins look so pretty. Bookmarked!! Enough the pictures here are delicious, can't imagine how it tastes..
Hi Zoe! 2013 will be just as great as 2012, if not better, for you! Pineapple for the Feb Thumbs up event! Good choice for CNY! I'll try to join in the fun if I can find sometihing interesting with pineapple! Happy year 2013 Zoe. 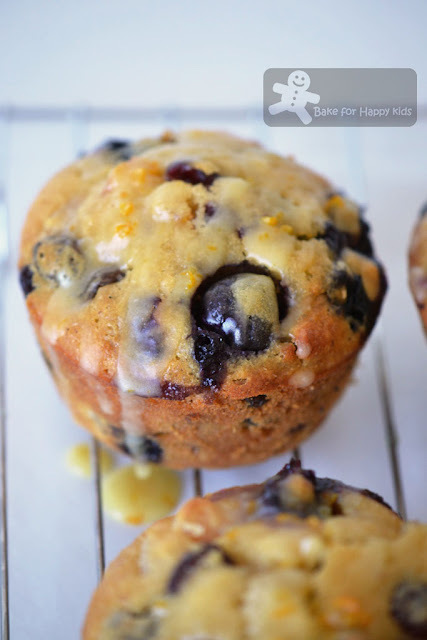 The muffins are really bursting with blueberries, nice! Gosh, these look like they just came out from a 5-star bakery! Love the Orange cinnamon glaze, Zoe! Happy 2013! Oh! I don't mind hosting and participating, sounds exciting! Zoe, your muffins are so irresistible! Full of fruity goodness and the glaze makes it even more yummy! I'm sure I like these fruity muffins. Furthermore with glazing! Looking forward the exciting event. Happy new year! I LOVE all the fruit bits! 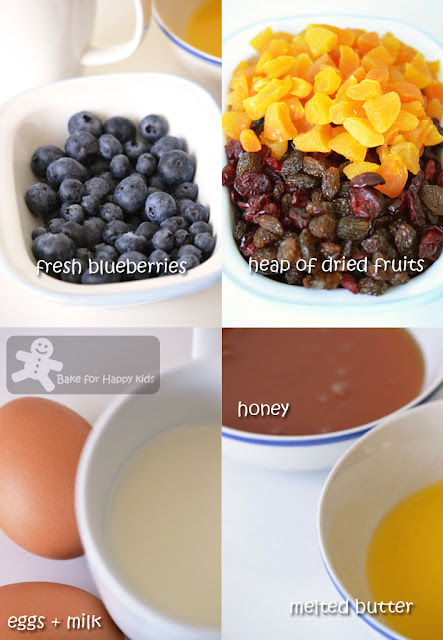 I love the combo of blueberries and dry fruit. really yum. Wow Zoe, your muffins are sure exploding in flavors...love the extra amount of fruits in it...they look awesome. Happy 2013 and have a great week ahead! These look gorgeous, so pretty and full of fruity goodness. 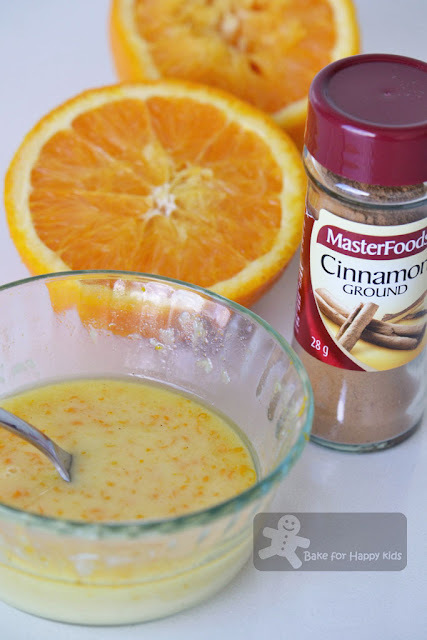 Your orange and cinnamon glaze tops them off nicely. Little thumbs up - Facebook like ?! lol I guess I'll look for some cute thumb(s) then :D Another fun baking/cooking event , Zoe ;) Fruitylicious muffins indeed ! Your muffins look absolutely delish ! The shape of Fruitburst Muffins look so cute and lovely. This cake must be really rich. Happy New Year Zoe! Hey no apologies!, I too sometimes got carried away with other commitments and can't leave comments on fellow bloggers' posts. But it's all good ya...we are all a nice understanding bunch, haha! BTW, your pictures of this fruitburst muffins got my mouth water! Since my daughter loves (x10) blueberry, think I will take up your recommendation and bake it tomorrow! Thanks Zoe! aahhh ! Zoe these muffins look amazing!!! I hope that I get the translation right for your comment... Did you mean this? Delicious looking muffins, very fruity! All the best in your new event! Such beautiful muffins! They looks delicious! A belated happy new year to you and yours, and I look forward to taking part in the 'Little Thumbs Up' blog hop in February! Burst with flavors Zoe! I love them and especially the glaze! Your muffins looks marvelous. Love the texture and the moistness. Your idea to start with pineapple is really great. I love pineapples and can't wait to see mouthwatering recipes. good luck with your event. These sound incredible! I'm always struggling to find a quick but healthy breakfast, these sound like the perfect fit for healthy and on-the-go breakfast. Good luck with "Little Thumbs Up" - love the name of it!